"Regency" Extra Heavy Flatware: Table Fork. 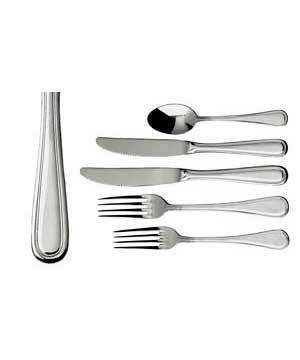 This heavy weight, stainless flatware is elegant enough for fine dining, yet priced for every day use. Box of 12 (1 Dozen).